promoter of the socialist ideals of freedom and social justice. Corrado Bonfantini was born in 1909 in Novara from a socialist family (his father has been the Major of Novara untill 1922). When the Facists occupied Novara and threatened his father, Corrado was just a boy. This episode strenghtened his committment to the socialist ideas of freedom and social justice. When he was still a student at the Faculty of Medicine of the University of Milan, he has been arrested several times and jailed in San Vittore prison - where his friend Galloni used to bring him the textbooks necessary to prepare the unversity exams. While in jail, he has been continuously under police surveillance due to his ideas contrary to the regime. Eventually, he has been sent first to Ponza and then to the Tremiti Islands and to Vasto. He became soon well-know for providing eductation to both the detained and the gards, and for taking care of the inhabitants of those remote areas abandoned by the State. For this reason, he has been harshly criticized even by his communist fellows, since he cured also the fascists in the name of his eguality and fraternity ideals. Since the beginning, he developed a rebel and maverick personality and used to breack the rules and the orders of anyone. His behaviour raised several criticism within the Socialist Party, and especially in Lelio Basso and Sandro Pertini. Graduated in 1936 in Medicine, he cured patients for two years first in the Valsesia valley and then in Novara, where he was known as the "doctor of the poor" for his huge humanity and generosity. These qualities characterized his whole existence, despite his precarious economic conditions - due to the fact that he shouldered the financial burden of paying the debits contracted by the Mondo Nuovo Journal of Turin, directed by himself, Sargat and other fellows. 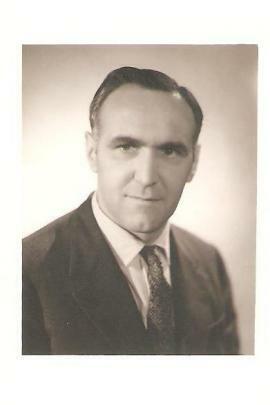 When Bonfantini was young, he joint the Italian Communist Party and committ himself to the education of the young communists. Nonetheless, the new political group has been soon undermined by Bonfantini's strong independence of judgment and libertarian ideas. Thus, he pursued his antifacist ideals by other means. In January 1943, he contributed together with Lelio Basso, Lucio Luzzato, Domenico Viotto and Carlo Andreoni to the establishment of the M.U.P. (Movimento Unità Proletaria). This movement represent a first step towards a new political party that will become particularly important in the following years: the P.S.I.U.P. (Partito Socialista Italiano Unità Proletaria). Within it, Bonfantini educated all the managers of the Party. This is where the MATTEOTTI Brigades originates from. About six months before the end of the Fascism, Bonfantini was contacted by the philospher Edmondo Cione through the libertarian Germinate Concordia (known as Michele or "Piccolo Lenin"). Cione asked him to create a Socialist Republican National Group, joint also by Pulvio Zocchi, Concetto Pettinato, Gabriele Vigorelli and others. The project, at first supported also by Mussolini, was to create a body or a pseudo-government able to substitute the fascist government with a socialist Republic. For this purpose, Mussolini ordered to send to the most important factories in Milan a document signed by himself, in which they were asked to start a process of socialization including also the employees - and this fact allarmed several Hierarchs (see, in this regard, "Socializzazione", written by Prof. Davide Fossa, Commissioner of the Confederation of Labour in Turin). Bonfantini took advantages from this project and from his contacts with the Questor Bettini and the Chief of Police Montagna to gain important information and to ask the release of a few political prisoners (some of them, particularly important). In the days before the Liberation, Bonfantini occupied Radio Milano (warning the citizens that the Nazist were fleeing), the Guardia di Finanza's office with the help of his Commander Malgeri, and other key sites throughout the city. Once he acknowledged that this mediation activity was not useful anymore for his purposes, Bonfantini prudentially left the Group. Several communists, socialists and christian democracts detained owed their lives to Bonfantini. Thanks to him, in the sping 1944 Kock and his notorious band - operating in the sadly-known Villa Trieste, where antifascists and Jews were cruelly tortured - were arrested. Anyway, his attempts at mediation with the mussolinian group have been object of harsh criticisms within the CNL, which officially disowned any kind of similar agreement. At the end of the conflict, Bonfantini has been elected deputee of the Constitutional Assembly and confirmed for three mandates - first in the Socialist Party, then in the P.S.D.I. In the post-war, Bonfantini created a partisans association, named U.I.R (Unione Italiana della Resistenza), joint by socialist, autonomous and libertarian partisans. In 2015, his spoils have been located in the Famedio of Milan (a funerary temple dedicated to the memory of virtuous people). Biography extended on the basis of the information provided by the proponent.